Overdrive 15 Combo : Amplifiers : Combos : Industrial Amps Inc.
Overdrive 15 Combo  Industrial Amps Inc.
15 Watt, Single Channel Combo. 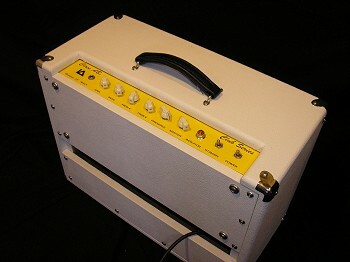 Point to Point Hand Wired 1x12 all Tube electric guitar amp. Bass Guitar can be played in it . Acoutic Guitar equiped with pickup can be played as well. Microphone can be used with Guitar or Bass in shared Y-Jack wire arrangement. Subtract 6 lbs. For Each Jensen Neodymium Speaker. 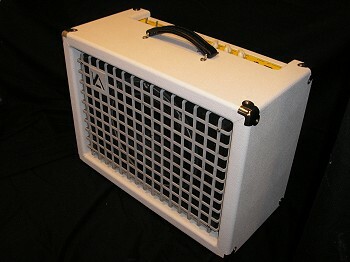 This amp will make you sale all your other amps !